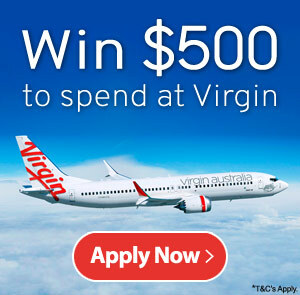 How would you like to win $500 cash to spend at Virgin? OfferX are giving away $500 cash to spend with Virgin to jet off to any destination! Use your cash to spend on a domestic or international flight with Virgin; all you need to do is decide when and where to go! 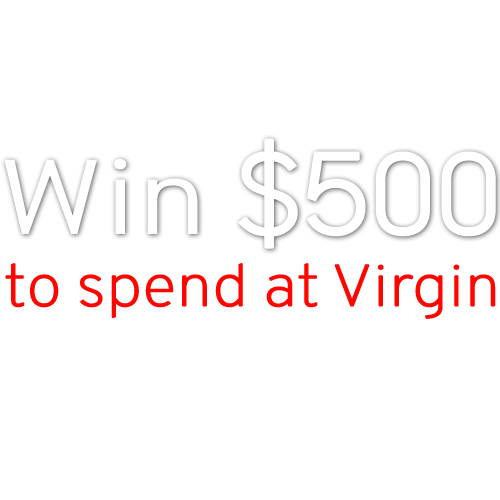 Enter today for your chance to win $500 cash and jet off for free! We give away prizes every month & every day absolutely free. All Prizes are paid for by advertisers so they can show off their best offers. When you register we will email you about these companies great offers which you can opt-out of any time with one click. I agree that OfferX's registration page sponsors - listed here - may contact me with more interesting offers by post, email, telephone and SMS. To enter without receiving offers click here. By clicking Enter, I agree that I am 18 years or older and an Australian resident. This present competition is carried out with the objective to incorporate your personal information in the marketing database, property of Marketing Punch. By registering, you consent to receive information and offers concerning third party products and services, based on your preferences, via email, mail and phone. By responding to a question you expressly consent for that named organisation or preferred supplier to contact you by email, mail and phone to send offers and promote their services for an indefinite period or until you opt out..
* OfferX is not affiliated with, sponsored by or endorsed by any of the listed products or retailers. Trademarks, service marks, logos (including, without limitation, the individual names of products and retailers) are the property of their respective owners. All images are for illustration purposes only.